This small passage of Scripture brims full of the heart of God. For me, God’s first command to learn speaks the loudest… and gives power and weight to the rest. At Strong Tower, we believe that faith and wisdom come together in seeking God’s best for the orphan. 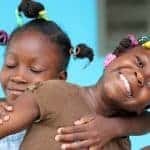 And the Christian Alliance for Orphans (CAFO) is a gift, serving as a tremendous resource both deep and wide with encouragement, training, wisdom, knowledge and experience. I will never forget the day I met Edwidge on the streets of Caracol. My dad and I were accompanying a survey team who had traveled to work on the Strong Tower property. 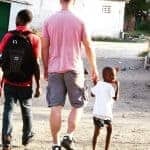 One afternoon, the elders of the local church took Dad and me into the village to meet some of the orphaned and at-risk children in their community and to hear their stories. Edwidge was too little to verbalize hers, but we soon knew the seriousness of her situation. God, together with you, provided a new family for her…and 18 other little girls who were lost and alone and without hope. Their Strong Tower home is filled with laughter and playtime, jump rope and giggles…oh, and homework too! The Father to the fatherless is doing a beautiful thing in each of girls thru the love and care of family. 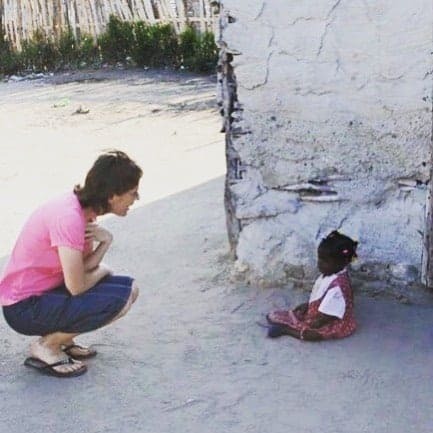 As we move forward, it’s our privilege to continue partnering with the local church in programs that include medical missions, the Nutrition Initiative (providing vitamin-enriched peanut butter snacks to local school children), and Vacation Bible School as well. These ministries, categorized as Orphan Prevention Initiatives by CAFO, impact the lives of children and families in Caracol by providing support, encouragement, hope…and lots of fun at VBS! Orphan prevention initiatives serve to fortify local families, helping them stay strong and stay together. Isn’t it exciting to consider how much impact these ministries can have in the lives of at-risk children? Isn’t it incredible to understand that this kind of work can prevent the trauma of a child losing his family and becoming an orphan? It is this momentum of God’s faithfulness and heart that carries us to pursue growing and sustaining orphan prevention initiatives in Caracol. Would you join Strong Tower in these efforts? And hopefully, in even more ways as God opens doors and raises up leadership? Your giving, your going, your heart shared with others, your prayers…all these things pour into the lives of Caracol’s children. Thank you for all you are and all you do. “When are we building a boys’ home?” Honestly, we don’t know. We’re working hard so Caracol won’t need one. To God be the glory.